Cala Pi is situated 17 kilometres from Llucmajor in the southern part of Mallorca. 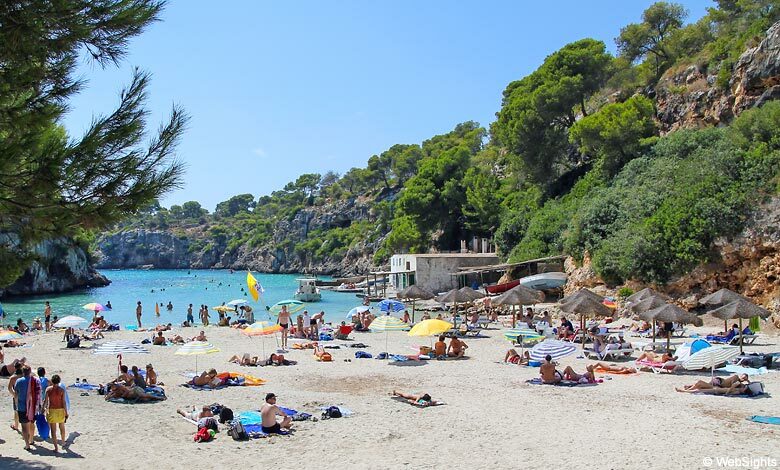 Cala Pi is a lovely beach that is named by the surrounding pine trees and the torrent that emerges here. A rather steep staircase is leading down to the only 45 metres long but as much as 140 metres wide beach. The sand is fine with only little slope into the clear turquoise waters. It is possible to hire sunbeds and parasols on the beach. During the high season there is a life guard on duty. The accessibility by car is easy and there is a free parking area for private cars. This beach is perfect for children. Fine white sand, space for playing and very shallow water. None, but the conditions for snorkeling and diving are good. 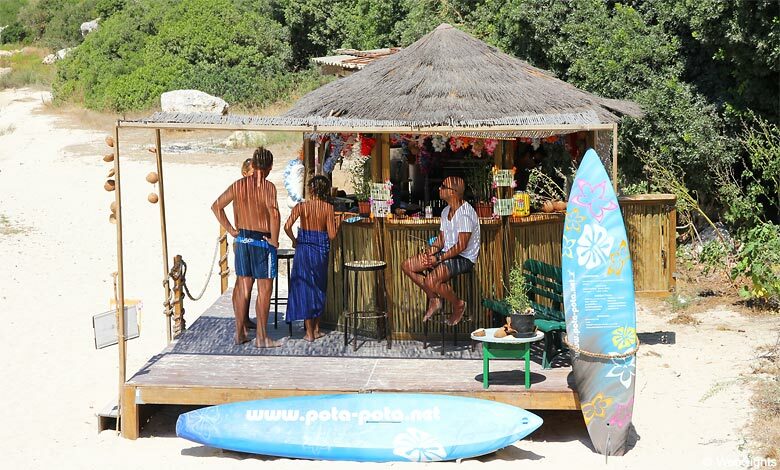 A lovely little beach bar offers a wide selection of refreshments. Cala Pi is a beautiful and quiet resort build around the romantic cove. There are a few hotels, restaurants and a mini market. Cala Pi is ideally situated for exploring the southern part of Mallorca, e.g. Es Trenc or the Mondrago Natural Park. Cala Pi has fantastic surroundings. Cliffs and pines, which can be seen on the satellite picture. 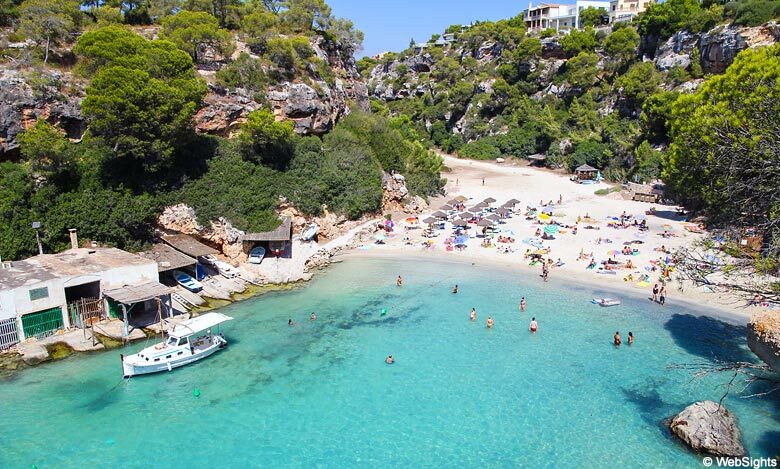 Cala Pi is without doubt worth to visit. Not far to the east you will find Es Trenc and a little further Colonia Sant Jordi.